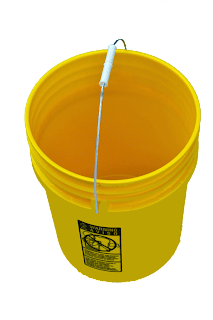 Among the so many uses of 5 gallon buckets – some discussed in this blog are as food storage, as a seat and as a portable toilet, there is another great addition to the versatility of the 5 gallon pails: as a conventional washing machine. It may not be a washing machine in the real sense as it doesn't have the motor. But this could be a great creative option for families that don't own washing machines and that prefer not to use hands when washing their clothes. All you need to have are a 5 gallon pail and a toilet plunger. Yes, a toilet plunger, you read it right. Of course we are talking about a newly-bought-and-never-been-used toilet plunger here. Below are the steps to make your own conventional washing machine out of 5 gallon bucket. Make a few holes on the toilet plunger. These holes will allow the water and soap solution to blend and at the same time create less mess. Make one hole in the middle of the lid of the 5 gallon pail that is big enough for the stick of the toilet plunger to go through. 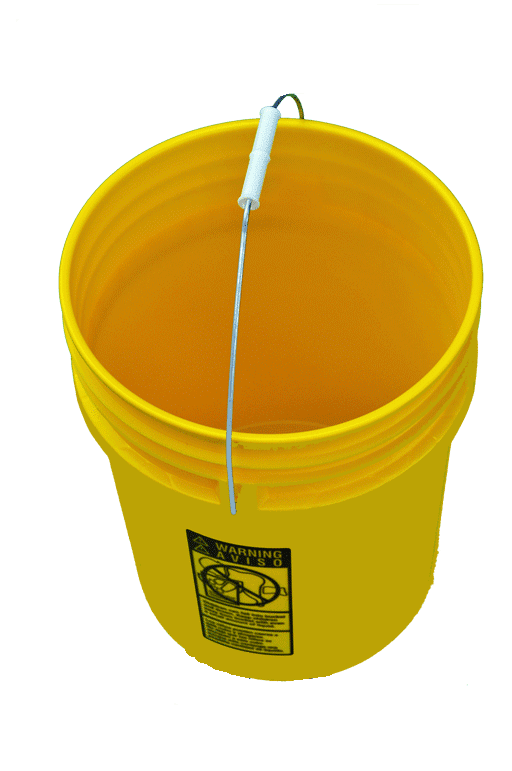 Put the detergent and water inside the bucket along with the clothes you want to wash.
Place the plunger in the middle and slid the stick through the hole on the lid of the pail. Close tightly so that the water won't splash when you plunge your clothes. Repeat these steps several times until all clothes are squeaky clean. Hang the clothes to dry. Good luck trying out this idea.